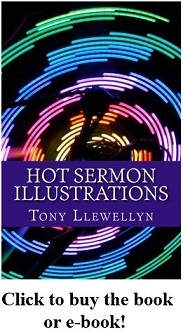 If you're looking for something to help you illustrate your sermon points, you've come to the right place. There are now over 300 categories of sermon illustrations here at HotSermons and I'm just going to keep adding more categories and more illustrations. This section of the site contains anecdotes, quotes, jokes, statistics and more, all categorised to help you in your sermon preparation. My hope is that you'll find this to be such a rich source of material that you'll find everything you need right here. There's no doubt that a well-placed anecdote can make your message more interesting, more memorable, and help people to grasp the meaning of concepts and truths that you are trying to impart. So where's the best place for a good sermon illustration? There's no hard and fast rule about where everything should go in your sermon, just some general principles that seem to work well. I try to begin every sermon with a story as it draws the listeners in. Then I aim to have another anecdote for each of the main points. As mentioned above, this section contains more than just anecdotes you can use. There are many other things you can use to make your sermon more interesting, like statistics, or interesting quotations. A good quotation is worth its weight in gold, as long as it's not too long. Some of the sermon illustrations in this section are based on my own experiences, so there's a couple of ways you can handle it. You could share the anecdote and begin by saying something like, "This is something I came across the other day..." Or you could even go straight into the story: "One guy I heard about..."
But what I'm hoping is that if you read a story of something that happened to me - or anyone else for that matter - it might remind you of something similar that happened to you. Then you can tell it as your own story. When all is said and done, the important thing is that you can use these sermon illustrations to spice up your Sunday sermons, communion messages or youth talks and make them more interesting and memorable. Anyway, have fun. Hope you enjoy reading these illustrations - even the ones that won't fit into next Sunday's sermon. And don't forget to keep checking this section out as we keep expanding it. 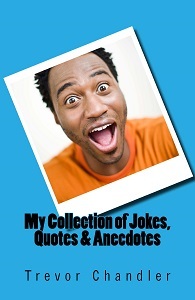 So far as I am aware, acknowledgments have been given for all quotes. Any oversights in this are purely unintentional. So if you see something that is a direct quote that I haven't acknowledged, please feel free to let me know so I can fix it.